THE TRUE ORIGIN OF THE ANIMATED STAR! After his debut in 1966, Space Ghost was immediately established as a premier hero. 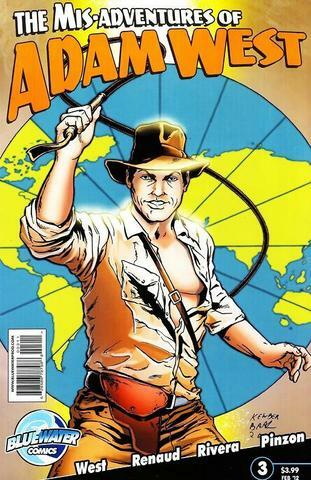 His exploits have been on network television and cable ever since, and he remains one of the most recognized adventurers in all of animation. But WHO is Space Ghost? 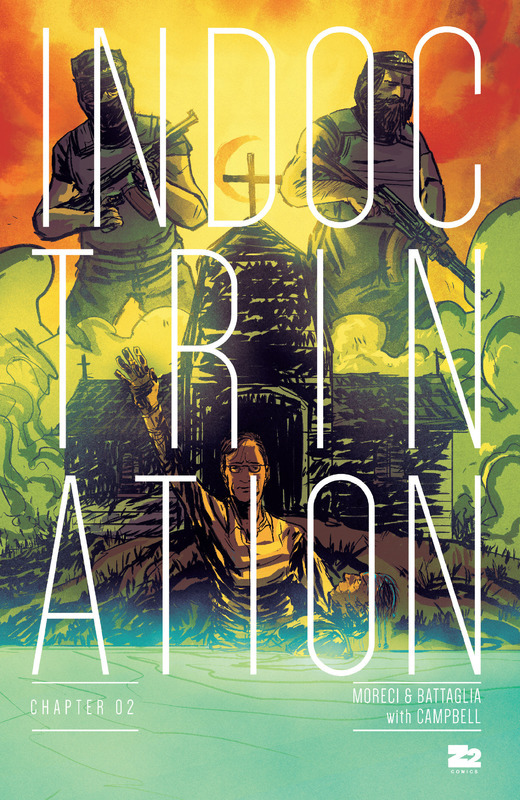 A young policeman joins an elite space force that turns out to be horribly corrupt. When his moral standards don’t permit him to live a lie, our hero attempts to stop the grift…at the cost of his own family-and his soul! Witness the beginnings for the first time anywhere! 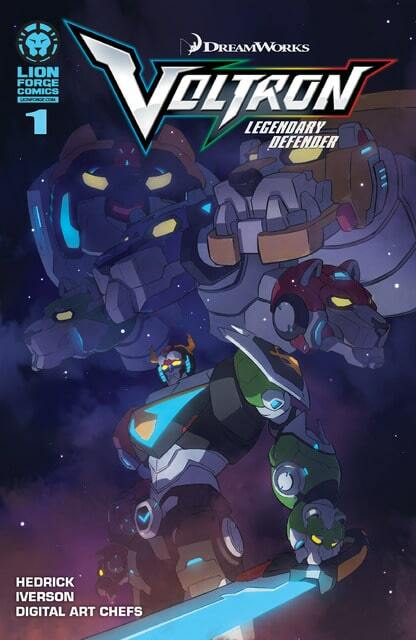 From days of long ago, from uncharted regions of the universe comes VOLTRON: LEGENDARY DEFENDER! When Team Voltron takes on a dangerous training mission in deep space, Coran, Princess Allura's majordomo, is captured by an ancient enemy. 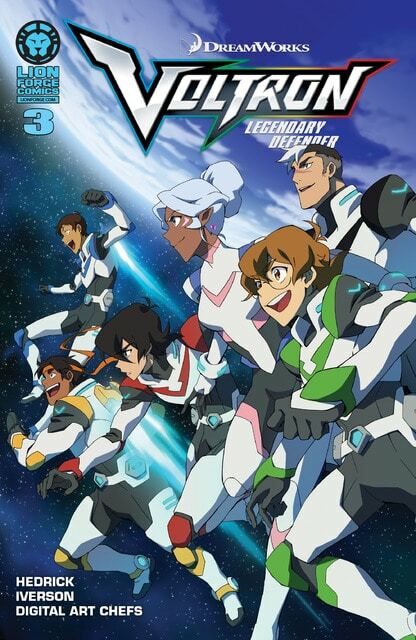 It will take teamwork, smarts, and, of course, Voltron, to save their friend's life. This galaxy-spanning adventure is a never-before-seen chapter of the epic animated series reboot by show writers Tim Hedrick (Avatar: The Last Airbender) and Mitch Iverson. New series! How far would you go to save reality? 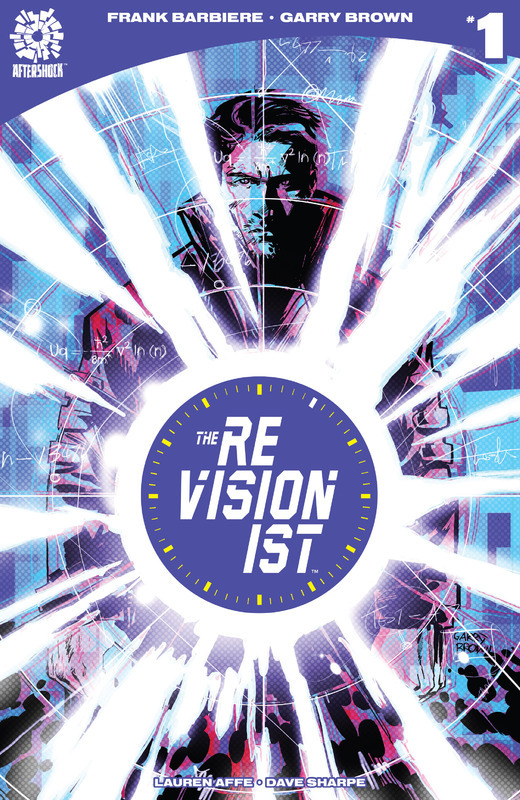 Martin Monroe is The Revisionist—a time-traveling assassin tasked with repairing our fractured timeline. Forced to place his trust in his estranged father, Martin will have to overcome his troubled past to save the future—but can he live with his decisions? Ten years ago CJ's husband and nine year-old daughter were murdered off a desert highway near the California/Arizona border. Since that day, CJ can feel only two things - paralyzing shame for not being with her family and quiet fury that the perpetrators were never found. CJ should have been there to defend her family. CJ should have been there to die with her family. And, in the decade since, she might as well have been dead. Until the day a letter arrives. There's no return address, only one word in the letter. CJ's daughter is alive. And now so is CJ. And she will stop at nothing to get her daughter back. Dan Clover's office crush would love to go to his father's 50th blowout birthday gala! It's in magical Sardonia! No really - magic! And father's king! And absolute ruler! From whom Dan's been estranged since birth. Ahhh Dan, can this possibly end well? What's to Love: Ever since we first saw Sons of Anarchy, we knew creator Kurt Sutter had an amazing comic book story in him. 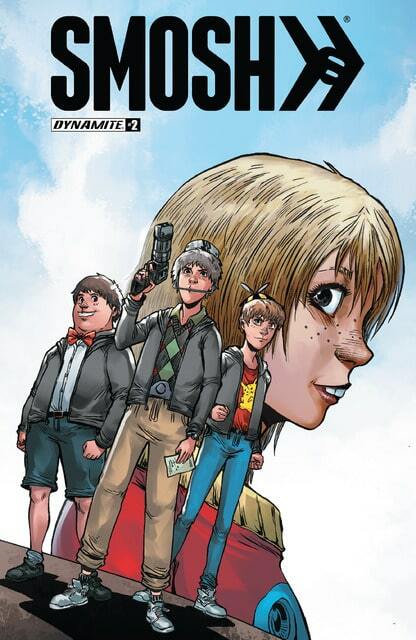 Now we've got it in Lucas Stand, his first, original comic book series. If you've been looking for a new antihero like Jax Teller to root for, Lucas Stand fits the bill. What It Is: Lucas Stand is a military vet who can't reintegrate into society and has emotionally cut himself off from the people he loves. At his lowest, Lucas does something he can't take back. Hell comes calling, offering him the opportunity to make things right. 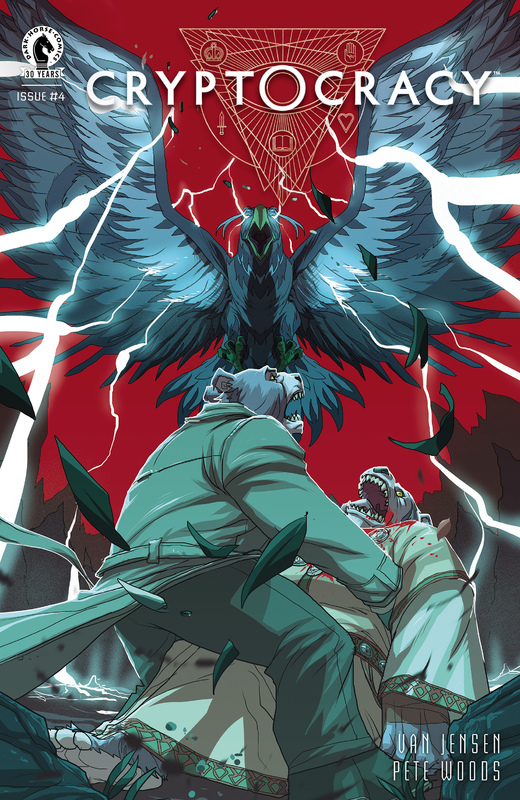 Demons escaping Hell are upsetting the balance of evil, and now Lucifer has recruited Lucas to send them back. It doesn't matter in what era the demons escape - World War II, old-timey Hollywood, Vietnam, present day - he must learn to fit in both the past and the present. Given new purpose, Lucas starts to rebuild himself and his life, even as he struggles at the human cost that comes with it. 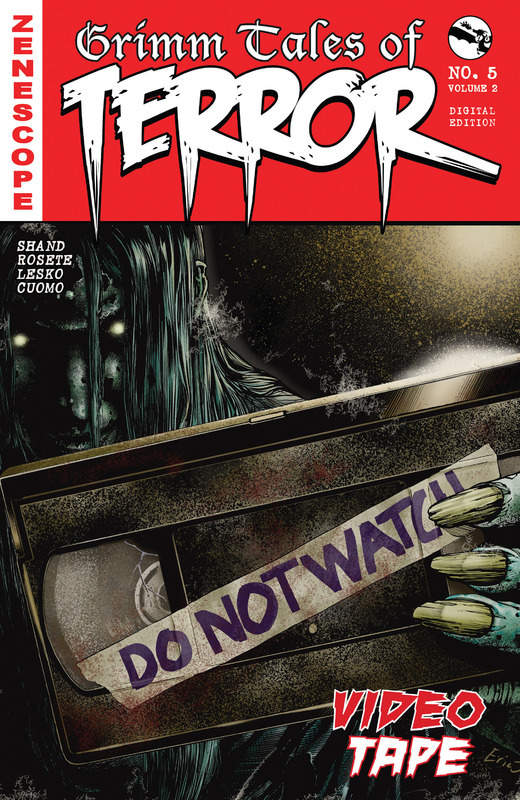 Zenescope's newest hit horror series returns with issue #1 of 13 brand new twisted and terrifying issues! The story of Jekyll & Hyde has been retold in many different ways? But Zenescope puts a new twist on an age-old tale about a man with two different sides. When an awkward teen finds a serum that transforms him into the high school jock, will he find what he's looking for or will he learn first-hand the danger of trying to become a different person? 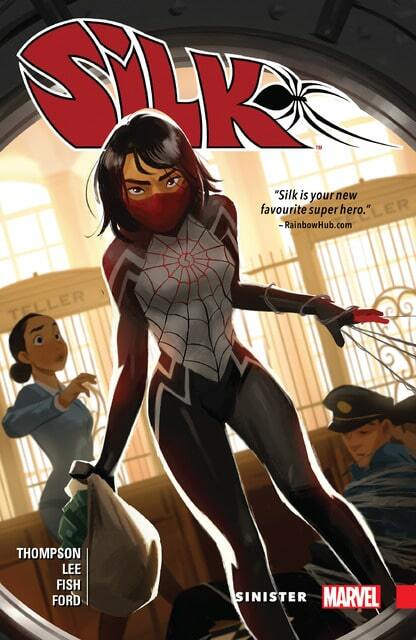 Collects Silk (2015B) #1-6 and material from Amazing Spider-Man (2015) #1. Silk is back and badder than ever! Cindy Moon — the other victim of the radioactive spider that bit Peter Parker — has been working to find the missing members of her family since she escaped the bunker that was her home for so many years. But Silk's quest has taken her down a darker path than expected, and now she's in cahoots with the most ferocious feline in the Marvel Universe: the Black Cat! But not everyone in the Cat's criminal crew is happy about the arrangement. Nor is a certain friendly neighborhood CEO of Parker Industries, and that will bring Cindy into conflict with Spider-Man and the Goblin King! What could have led her to this? Who is Espectro? And will Cindy go so far there's no redeeming the Sinister Silk? What terrors lurk within the final volume of the Vampirella Archives? The incomparable horror hostess offers you a guided tour of the Warren Publishing library, presenting the era's greatest anthology of horror and science fiction by such comics luminaries as Bill DuBay, Gonzalo Mayo, Rich Margopoulos, Jose Gonzalez, Luis Bermejo, Nicola Cuti, Bruce Jones, and many more. 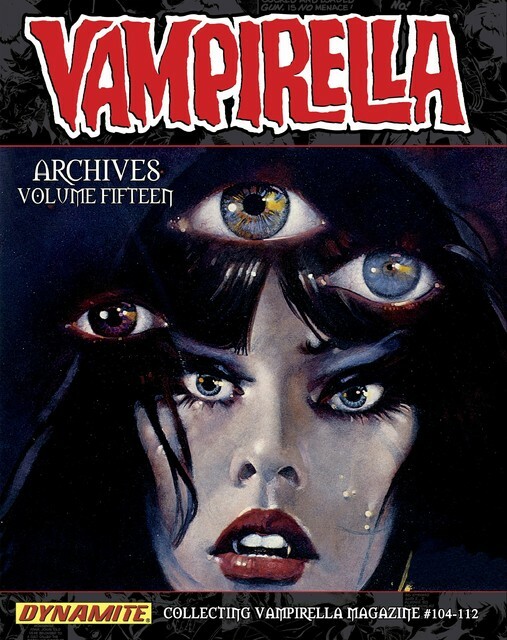 This edition of Vampirella Archives collects Vampirella Magazine #104-112, and features a wealth of bonus materials from a bygone era, including the "Feary Tales" feature on urban legends, the monthly "Scarlet Letters" column, "Vampi's Vault" of creator biographies and literary reviews, and intact vintage advertisements. 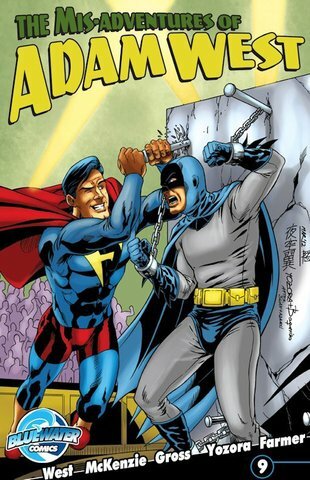 The series begins its fifth and final year as the regime searches for the criminals who all escaped from Superman's prison. 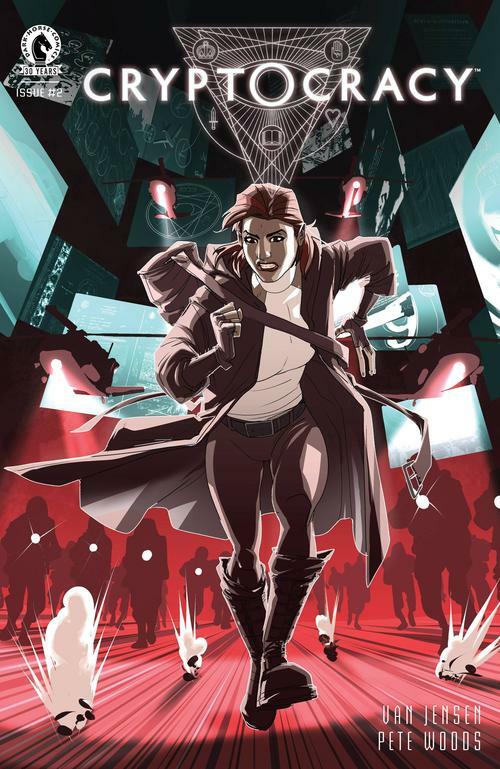 Direct Currents is the new, FREE quarterly magazine that brings you into the world of DC with exclusive sneak peeks of every title! Collects Obi-Wan and Anakin #1-5. Before their military heroism in the Clone Wars, before their tragic battle on Mustafar and many decades before their final confrontation on the Death Star, they were Master Obi-Wan Kenobi and his young Padawan, Anakin Skywalker. Now join them a few years into Anakin's, "chosen one" training. Teacher and student have grown closer over time, but it's been a difficult road. And things aren't about to get any easier. In fact, when they're called to a remote planet for assistance, the pair may be pushed to their breaking point. As they find themselves stranded on a strange world of primitive technology and deadly natives, will they be able to save themselves? When war breaks out around them, master and apprentice will find themselves on opposite sides! 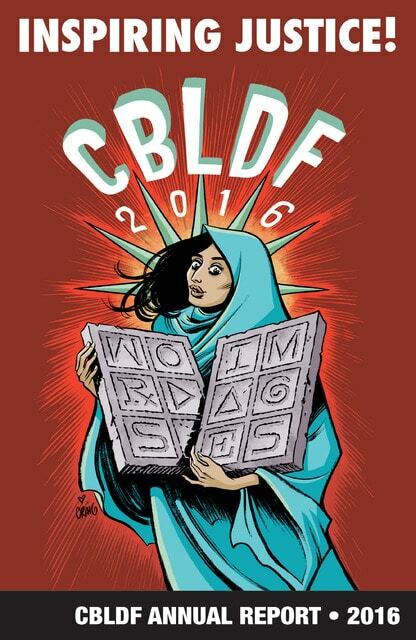 The CBLDF Annual Report offers a brief snapshot of how CBLDF defended the freedom to read in the prior year! The Man, The Myth, The Amulet? Legendary star of the small and silver screen, Adam West, has his career youth-enized in this hip-whimsical, trans-dimensional epic of an adventure. When a mysterious fan delivers an exotic amulet to Mr. West's doorstep he is Dorothy-fied on an oddysey that will change his career, his love life and, inadvertently, make him the man that saves the universe! A four-issue miniseries wasn't enough for TV's original Batman! 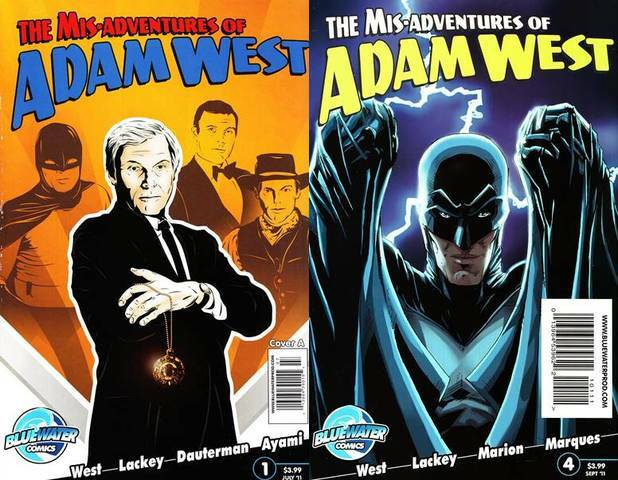 Fueled by his imagination (and a magical amulet), Adam West continues his travels through time, space, and alternate realities fighting evil-doers in his very own ongoing series. Villains be warned. A true American hero is back in business. Better buckle your seatbelts. Batman Confidential was an American monthly comic book series from DC Comics which debuted on December 6, 2006 and concluded on March 2, 2011. 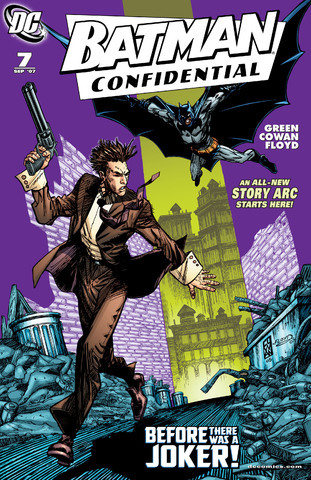 Like a previous Batman series, Batman: Legends of the Dark Knight, Batman Confidential featured stories by rotating creative teams set in the early years of modern Batman’s career, post-Batman: Year One, and illustrated formative moments in the character’s past, such as first encounters with allies and foes.